The World Cup qualifier between England and Scotland at Wembley on Friday may be overshadowed by events off the field and, in the eyes of Gareth Southgate and Gordon Strachan, anything that distracts attention from the football may not be an altogether bad thing. Despite the match being scheduled for Armistice Day, FIFA has banned players from wearing armbands featuring poppies. The Royal British Legion has written to the governing body, pointing out, quite rightly, that the poppy “has no political, religious or commercial meaning”. So, too, have Prime Minister Theresa May and Prince William, but FIFA is reportedly “sticking to the letter of the law”. England interim manager Gareth Southgate enters the third game his four-game tenure on the back of a 2-0 home win over Malta, ranked 178 by FIFA, and a 0-0 draw in Slovenia, ranked 52. In the latter performance, the Three Lions managed just three shots on target had goalkeeper Joe Hart to thank for a succession of outstanding saves that prevented further embarrassment in a match short on positives. Southgate will also be without Tottenham midfielder Dele Alli, who suffered a knee injury in training, so it’s hard to enthuse about England. Scotland have been equally hapless in recent starts and, not for the first time, looked defensively vulnerable during the 3-0 defeat by Slovakia in Trnava last month. Gordon Strachan’s side currently lie fourth in World Cup Qualifying Group F, four points behind leaders England and a point behind Lithuania and Slovenia. On the plus side, Strachan can welcome back Hull City midfielder Robert Snodgrass, who came on as first-half substitute and scored in the Premier League on Sunday. 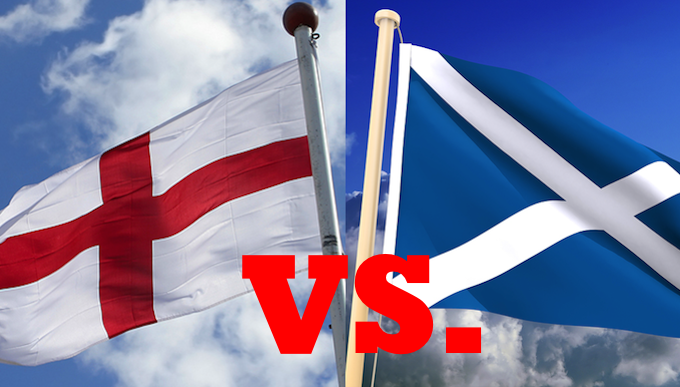 Frankly, it’s difficult to get worked up about either side at present and a bore draw would be no surprise but, with home advantage, let’s try England to win 1-0 at 9/2 with bet365, who’ll give us our money back as a free bet if it does finish 0-0.